Zlatan Ibrahimovic is known for his strong mentality on and off the field. A sheer winner all his life, Zlatan defied the odds everywhere he went, and created a name for himself. The player, who won a host of trophies all his life, is currently plying his trade in the USA for LA Galaxy. The veteran forward played for Manchester United prior to his current stint in the MLS. After creating an essence everywhere he went, Zlatan had come to England in 2016 after signing for the Red Devils. And he became an instant hit. 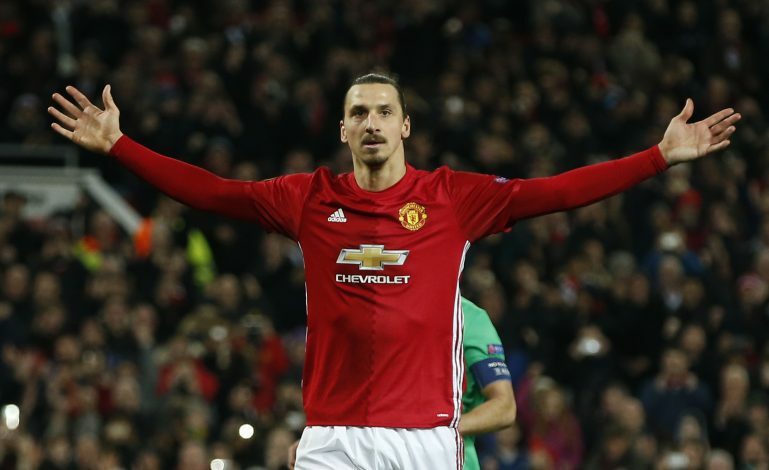 The former AC Milan, Barcelona, and PSG striker was advised by many people not to come to the Premier League at his age, but Zlatan being Zlatan listened to his heart. He accepted the challenge and came to the England, and proved all his doubters wrong. Zlatan amassed 29 goals in 46 matches in his debut season. He could have finished with a lot more, but a severe injury ruled him out for rest of the 2016-17 campaign. A consistent winner, Zlatan helped United bag three trophies that season. In an exclusive interview with The BBC, Zlatan revealed that the players he wanted to get an opinion from before joining United, told him not to do it. They also tried putting doubts in his mind. Ibrahimovic stated that all these opposing views triggered him, and instead motivated him to take it as a challenge to prove them wrong. Zlatan also added that while everyone thought he was too old, he instead made the Premier League look old. The best moment of the interview was when Zlatan said the Premier League made him feel like Benjamin Button.